Hugging the little unigoat like a teddy bear Agnes is thrilled with her new friend! In the third instalment of Despicable Me, the gang's attempt to create a unicorn didn't quite go to plan. With the experiment going wrong they ended up with the adorable Lucky instead! With one goat horn, he certain won over the hearts of the girls, meaning Gru's felt he had to let him stay. 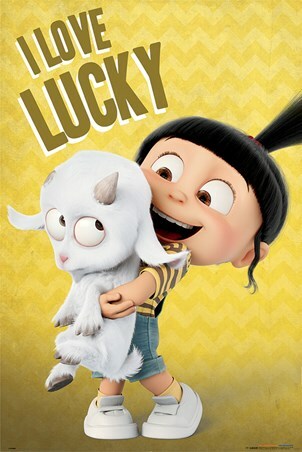 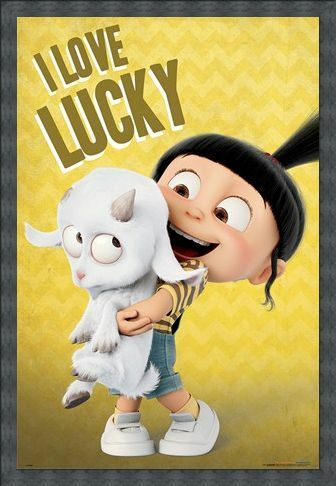 Luck is definitely fluffy enough for Agnes! 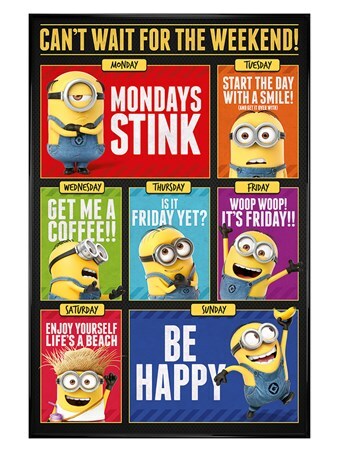 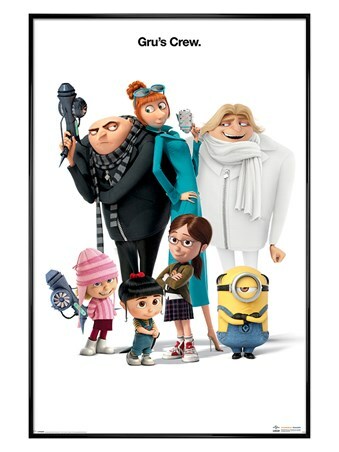 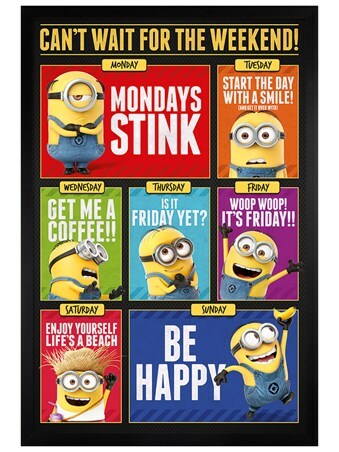 High quality, framed I Love Lucky, Despicable Me 3 poster with a bespoke frame by our custom framing service.